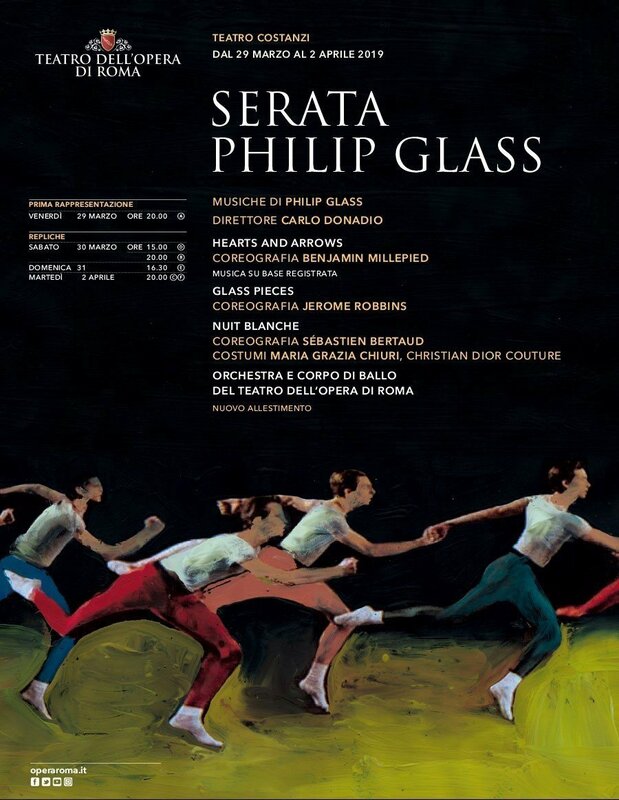 Rome Opera Ballet presents a Philip Glass Evening, which opens 29 March 2019, and features a new work with the company’s director, Eleonora Abbagnato, and guest artist Friedemann Vogel. 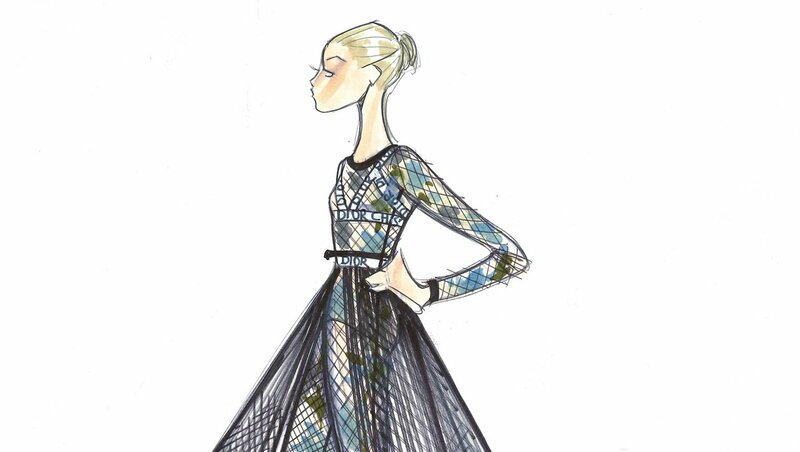 The programme offers Benjamin Millepied’s Hearts and Arrows, Jerome Robbins’s Glass Pieces, and Nuit Blanche, a new piece by Sébastien Bertaud with designs by Christian Dior Couture. Abbagnato recently stated that she likes asking fashion designers to create costumes, and Carmen — Rome Opera Ballet’s last new work — had costumes by Anna Biagiotti of the House of Biagiotti fashion empire. Hearts & Arrows is new to the company and is the second title in Millepied’s trilogy Gems, a revisitation of George Balanchine’s Jewels. It is set to Glass’s String Quartet n°3 “Mishima” and was first performed in 2014. The work is for eight dancers. Glass Pieces is in three sections with music taken from Glassworks (“Rubric” and “Façades”), and excerpts from Glass’s opera Akhnaten. It requires 42 dancers and Rome Opera Ballet will use the original designs by Robbins and Ronald Bates, with costumes by Ben Benson and Jennifer Tipton’s lighting. The work receiving its world premiere is Nuit Blanche. Its choreographer, Bertaud – a former dancer with Abbagnato at the Paris Opera Ballet – was chosen in 2016 by the company’s then director Millepied, to enter the Académie Chorégraphique dell’Opéra, directed by William Forsythe. Bertaud has been creating works since 2005 in a parallel path while still working as a dancer. Using Glass’s Tirol Concerto for Piano and Orchestra from 2000, the piece will feature costumes by Maria Grazia Chiuri, the current artistic director at Dior in Paris, who was born in Rome and happens to love dance. I’ve admired Eleonora Abbagnato for years – said Chiuri – she’s an extraordinary artist who has worked hard to reach her goals. She is a source of inspiration for today’s women. Her career is like mine, formed by both Italy and France, a detail which brings us close together. Opening night 29 March 8pm; then 30 March 3pm and 8pm; 31 March 4.30pm; 2 April 8pm.